This afternoon, turkey will be a welcome guest in most American homes, but don’t be fooled. Alive and free-range, Meleagris gallopavo is a danger to life, limb, and giblets. The wild birds have cracked roof tiles in California, dangerously disrupted traffic in western New York, colonized Connecticut, battled Bridgewater, Massachusetts residents, loused up lawns in the Bay Area, and terrorized Cuyahoga Falls, Ohio. Wild turkeys are native to the U.S.A., so the Trump Administration won’t stop their suburban gang violence unless those great big Mexican wild turkeys take over. Note to Trump: los guajolotes grandes will just flutter over your wall. 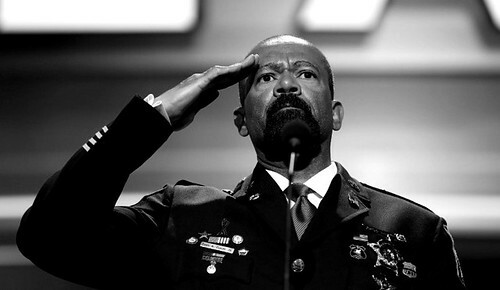 Milwaukee sheriff David Clarke, tough-guy lawman, plagiarist, souvenir pin collector, Trump fan, and alleged torturer, resigned from his post without explanation last Thursday. He had one year left in his 4th elected term. Maybe he’ll be get a job in the Trump Administration; maybe he’ll be indicted along with the jailers he supervised. He won’t run for the senate in Wisconsin, but maybe he’ll move to Arizona and try to take over where elderly thug Sheriff Joe Arpaio left off. Turkey Terror Stalks America’s Cities! 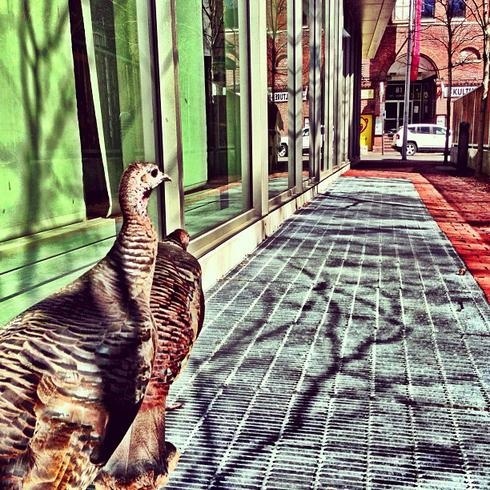 There’s a new gang terrorising the streets of Boston: Meleagris gallopavo. 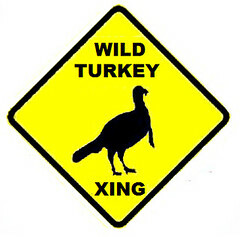 That’s right, wild turkeys are attacking people and vehicles, and the police do nothing. Thanks, Obama Trump! GOP Convention: What Could Possibly Go Wrong? 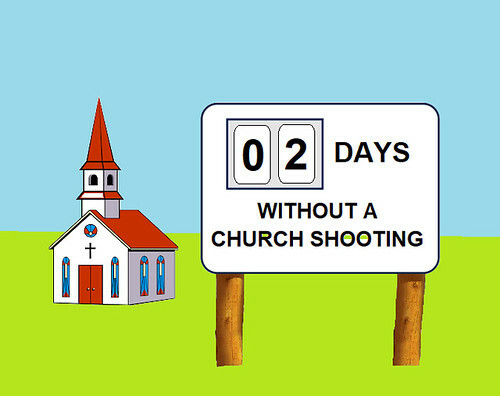 During this week’s GOP Convention in Cleveland, you can’t carry tennis balls or water pistols near the event arena, but you can carry a gun. 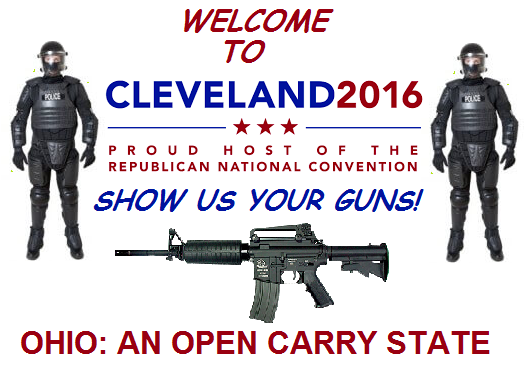 Ohio is an “open carry” state. What could possibly go wrong? But don’t try to carry firearms into Quicken Loans Arena, though. 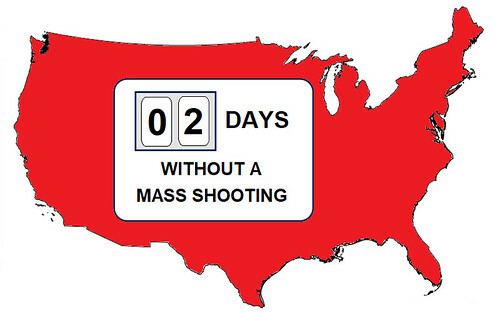 Republican conventioneers may not care about the safety of ordinary citizens, but they’re concerned about their own hides, especially if they can put the “gun-free zone” blame on those “Nanny State” Secret Service killjoys. Actually, privately owned Quicken Loans Arena never allows patrons to carry any weapons, but Republicans aren’t going to blame a business for saying what happens on its own premises.